André Savine's legacy is in collecting and preserving documents of the tragic moment in history when thousands of people were displaced in the wake of the 1917 Russian Revolution. As Soviet culture began its ascendancy, traditional Russian culture, literature, and art withered under the tight control of the totalitarian regime. The Soviet regime exiled, silenced, or destroyed independent thinkers, creating an intellectual and spiritual "black hole" in the Soviet Union. This dark time in Russian history began with Stalin’s attainment of power and ended only with Khrushchev’s relaxation of government control in the 1960s. Materials in the André Savine Collection fill this void with the voice of Russians in exile, the voice of free and true expression. André Savine was the owner of Le Bibliophile Russe («Русский Библиофил»), an antiquarian bookstore in Paris that long served as the most valuable source of materials relating to the Russian Diaspora for major European and North American libraries such as the British Library, the State Library in Berlin, the Bavarian National Library, Harvard, and others. An avid collector, Savine spent more than 30 years acquiring hundreds of rare editions, archival materials, and documents relating to Russian culture in exile worldwide. He was obsessed with the idea of preserving Russian émigré culture, although he lived and worked during a time when this subject generated little interest among either scholars or librarians. His collecting instincts, not to mention his vision, tenacity, and self-sacrifice, put him in the same league as other great creators of Russian collections in the West, such as Joel Sumner Smith, founder of the Slavic Collection at Yale; Frank Golder of Stanford; and Gennadii Yudin, a wealthy Russian merchant whose collection, acquired by the Library of Congress in 1906, served as the foundation for that library's Slavic collections. Unlike Joel Sumner Smith, Frank Golder, and Gennadii Yudin, André Savine was an antiquarian book dealer and collector — not a librarian, university professor, or businessman. He did not receive a steady paycheck, nor did he have a financial base for making substantial acquisitions. His collector’s passion was in perpetual conflict with the need to earn a living. More often than not, the collector in him triumphed over the need to obtain his daily bread. Savine sold only second copies of titles in his private collection, which he referred to as "Militaria," as he could not bear to part with any of the materials in it. As a result, one very important part of this massive collection was left completely intact. The story of Savine’s ancestry and upbringing helps shed some light on his passion for collecting. Born in Paris, André Savine was the son of a White Army soldier, Vladimir Andreevich Savine, who at seventeen had joined the army of General Petr Nikolaevich Vrangel in Rostov-on-the-Don. After Vrangel’s army was defeated in the battle of Perekop, Vladimir Savine evacuated to Constantinople; there, he lived in the Gallipoli encampment, and later worked in Bulgarian mines, before finally settling in Paris. The Gallipoli experience formed his own character and, through him, was also to have a profound effect on his son André. In the Gallipoli camp, the Russian White Army was transformed from a disorganized, demoralized mass of defeated warriors into a cohesive and disciplined group, united around their leaders — Commander in Chief Vrangel and General Alexander Kutepov. This transformation endowed the men of the Gallipoli encampment with a sense of moral superiority and gave their existence in exile a purpose. The White Army soldiers closely adhered to the principles of Duty, Honor, and Religion. After a while it became clear that there was no chance for the Russian White Army to return to Russia and conquer the Bolsheviks. Nonetheless, the army could not stay as it was, armed and on the territory of a foreign state. In those days there were no organizations to help émigrés and refugees. General Vrangel felt deeply responsible for the well-being of his army. Many soldiers, like André's father, had joined the Russian White Army at a young age, and thus had not had the time and opportunity to get an education or enter a profession. In a very military, orderly way, General Vrangel started to reintegrate his army into civilian life. In 1924 he formed ROVS, the Russian General Military Union, which played a central role in helping thousands of Russian White Army men to get permission to live and work in various countries around the globe. Vladimir Savine was one of the soldiers whom ROVS helped, first to find a job in a Bulgarian mine, and then to relocate to Paris and find a job at the Renault plant. He lived like many émigrés of the time, ready to go back to his homeland and serve the motherland. In his last will and testament addressed to his children, he wrote: "The day will come when you will serve the land of your ancestors". He went on to write: "There is nothing French about you, and you have no right to call yourselves French; you should not do so." Speaking French in their home was prohibited; Russian was André's first language, and he did not learn French until the age of 6, when he started school. Despite Vladimir’s somewhat limited education, he was nevertheless a man of broad interests and extensive self-taught knowledge. Being a collector of books himself, he played a decisive role in awaking the collector’s instincts in his son. At an early age, André began collecting Russian postcards, which he traded at the Paris flea market. His father used these postcards as an educational tool to teach his son Russian geography, history, and culture. Young André was also taught Russian in an unusual way. He wrote letters to his parents from summer camp; his father corrected the mistakes, and André then rewrote his letters, mistake-free. Clearly, Vladimir’s teaching methods were unconventional, but effective: André’s Russian was both beautiful and fluent, and his French was equally perfect. André advanced his knowledge of Russian culture and the Russian language at the St. Sergius Orthodox Theological Institute in Paris. After graduation, he traveled to many Orthodox monasteries in Bulgaria, Romania, and Greece. Initially he wanted to become a Russian Orthodox monk, but after much soul-searching, he chose a secular life. He saw the priesthood as a ministry to which a priest completely devotes his life; and in his mind, his own love for books did not leave room for such total devotion. Savine's love for books, and the desire to serve Russia that was ingrained in him throughout childhood, brought him to the YMCA bookstore in Paris, where he worked from 1972 to 1979, eventually founding and heading a department of antiquarian books. By this time Savine already had his own sizable collection of Russian émigré books and about 5,000 postcards. His mentors in the Russian book business were longtime employees of the YMCA bookstore. 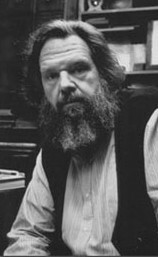 Among them were Ivan Vasilevich Morozov, and others such as Lev Grinberg, a well-known antiquarian book dealer; Aleksei Petrovich Struve, a bibliographer and connoisseur of Russian literature; Aleksandr Iakovlevich Polonskii, a scholar, historian, and collector, son of the editor-in-chief of the journal Chisla and nephew of the writer Mark Aldanov; and Aleksei Alekseevich Gering, editor of the journal Voennaia byl'. In 1979 Savine borrowed money from anywhere he could, and, together with his wife Svetlana, opened his own antiquarian bookstore. In the beginning, to generate income, he traded postcards from his collection with Evgenii Vitkovskii, the Russian poet, writer and translator, and took books on commission. Through his father, he knew many members of the White Army and other Russian émigrés with whom he maintained relationships. He was also in contact with many émigré organizations. On index cards, he preserved oral history by recording information gleaned from conversations about famous and lesser known Russian émigrés. This biographical information, added to his bibliographic citations from rare bibliographies and journals, make his bibliographic descriptions even more valuable. Savine's methods of obtaining materials were both conventional and innovative. On the one hand, he purchased, traded, and received gifts; on the other, he had an army of Parisian homeless people and concierges who watched the streets and reported to him when any documents or papers were thrown out in the street after heirless Russian émigrés died, or after Russian émigré organizations folded. When he received such news, Savine would rush to the reported address to collect papers. Timing was everything: it was essential to get there before sanitation workers destroyed valuable material. Sometimes he arrived just in time, but on other occasions, he was too late. He once watched with a heavy heart as the archive and library of one of the prominent Russian Orthodox priests was destroyed before his eyes. André was well respected in his profession. At the recommendation of Jean Viardot, a major vendor of antiquarian books, an expert at the Paris Court of Appeals for matters touching on rare books, and an author of noted contributions on the history of bibliophily, Savine was accepted as a member of the prestigious Syndicat National de la Librairie Ancienne et Moderne (a professional association of dealers in modern and antiquarian books, autographs, and engravings) and earned the title of "Libraire-Expert." Savine was the only dealer of Russian materials in this exclusive organization. After the demise of the Soviet Union, Savine thought that the time had come to fulfill his father’s behest to serve Russia with "heart and deed." Unfortunately neither his father, André himself, nor other descendants of Russian émigrés realized that those seventy years of the Soviet regime had destroyed the principles that had guided the members of the Gallipoli camp — Duty, Honor, and Religion. Savine's association with Russia ended tragically. The subsequent exoneration and public retractions notwithstanding, these unjustified accusations had stunned Savine and shaken him to the core. His deeply imbedded desire to serve the motherland of his ancestors had been crushed by the realities of a quite changed Russia, and he never fully recovered from the shock; illness overtook him, and he perished at the young age of 53. At the end of his life, he said that it is impossible to work with Russia because Russians do not know rules and the law, and do not follow them. André Savine's life ended tragically, but, since his collection is preserved intact, his legacy continues to serve Russian culture through this unique resource that scholars are just beginning to discover. Zilper, Nadia. "Andrei Savine – kollektsioner materialov russkogo zarubezh'ia." Bibliografiia, 4 (2006), pp. 133-138. Paul Robinson, The White Russian Army in Exile, 1920-1941. Oxford: Oxford University Press, 2002. The André Savine Collection. University of North Carolina at Chapel Hill. André Savine's personal papers. Valerii Leonov, Bibliotechnyi sindrom. Sankt-Peterburg: Oblik, 1996. Unpublished interview with Svetlana Savine, André Savine's widow.